Lyndsay Johnson: I think I need to read me some Ayn Rand! 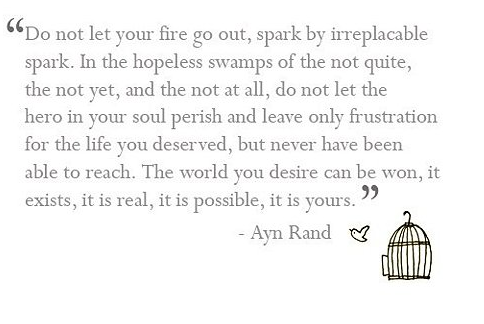 I think I need to read me some Ayn Rand! Lyndsay, thanks for sharing this. It spoke to me also. It is definitely going up on my wall as a reminder. Thank you for adding the blog background back on my blog and you even changed out my green label headings to red. You are perfect! I'll be emailing you back soon. I LOVE this quote! I'm hanging it up somewhere in my office!! Glad you are back Lyndsay, I've missed you! i love when you find me new authors to read. thank you!